Where value, trust and timeliness meet! HyGen Pharmaceuticals, Inc. is a leading independent wholesaler of prescription and specialty pharmaceuticals located in Redmond, Washington. The company was founded in 1993 with the goal of becoming a trusted partner to independent pharmacies, long term care facilities and mail order pharmacies across the nation. We offer a broad portfolio that includes generics, specialty products, controlled substances (CII's - CV's), over-the-counter products and medical supplies. We know that our customers face a lot of demands and challenges and we support them by proving modern technology and related services to deliver quality products to their customers. By working closely with manufacturers and by responding to ever changing market conditions we work on reducing healthcare costs through advanced supply chain management. HyGen's deep understanding of its customers allows us to clearly determine marketplace needs and this highly differentiates us from our competitors. We pride ourselves in delivering the highest standards for customer service in the industry. Our representatives are friendly, well trained and up-to-date on the most recent news. They work diligently with customers to keep them informed and help make the best purchasing decisions. Our success is a result of the skills and dedication of our employees and our commitment to excellence. Among the many reasons to do business with HyGen Pharmaceuticals, Inc., is our strong commitment to meet and exceed the compliance needs of our customers, thereby ensuring their patients safety. We pride ourselves on leading the way to a more secure drug supply chain by being one of the first and only independently owned pharmaceutical wholesalers to practice uni-directional flow of prescription pharmaceuticals within our supply chain. We have implemented a sophisticated Enterprise Resource Planning (ERP) system and deployed advanced warehouse management systems that include functional expiration date and lot number tracking, online DSCSA transaction information, EDI and automated controls at every level in the operational process. HyGen continues to innovate at a rapid pace. HyGen's sales professionals are ready, willing and able to help meet your needs as industry partners. Call 877-630-9198 to talk to one of our friendly representatives. Take a 360 ° view of your account for invoices, DSCSA, pricing, order history and so on with our secure website. We offer EDI services for customers who prefer to transmit orders electronically. To learn more or begin your initial set up please contact your account representative. We comply with FDA DSCSA act and provide track and trace document for each product. You can also download it by logging into your RemoteNet account. Put everything you need in shopping cart, and the system will split off the controlled items into a separate order for you to sign with digital certificate. It is fully integrated within RemoteNet so you don t have to leave HyGen's website. We offer Saturday Delivery for eligible locations and provide free Next Day Air shipping for qualified orders. We also offer additional savings for customers who request 2-Day Air shipping for orders.We offer ground shipping for bulk orders. We can customize the quantity and look of your Reorder labels. Need to have your shipping documents match to what your product codes are? Want a custom label with your PO# on it? No Problem! For more information, please contact your account representative. All returns must be authorized in advance by contacting Customer Service and obtaining written authorization. A 20% restocking fee will be assessed on all returned goods, with the exception of returns due to in-transit damage or any discrepancy caused by HyGen. If the removal of price stickers damages the product package, the product is ineligible for credit and will be destroyed. Products whose labels have been altered, defaced or damaged as deemed by HyGen Pharmaceuticals, Inc. are not eligible for credit. No returns will be accepted on cold chain items, controlled substances, items which have been special ordered for Customer, or items which are otherwise indicated as non-returnable. HyGen reserves the right to destroy products that are sent without prior authorization. Credit will not be issued for such items. HyGen reserves the right to refuse any and all returns from Customer if HyGen suspects the goods may be counterfeit, adulterated, unsaleable, outdated, or otherwise not in compliance with the Returned Goods Policy, or if Customer has previously attempted to return such goods to HyGen. Restocking, handling, and return freight charges may be deducted from return credit at HyGen’s discretion. Allow one to two weeks processing time for credit memos on authorized returns. Please do not deduct any amounts from your payment related to the returned product before receiving a credit memo. HyGen Pharmaceuticals, Inc. was the first in the nation to receive and launch Wixela™ Inhub™; the generic version of Advair® DISKUS; from Mylan. As a result of HyGen's ongoing partnership with Prasco, HyGen Pharmaceuticals, Inc. as one of the industry leaders offers access to the Authorized Generic Advair® DISKUS (Fluticasone/Salmeterol) in the first day of the product launch! click here. HyGen has the honor of being a key player ranking this year at #18 in continuing its amazing growth as a minority owned company in Washington state as noted by the Puget Sound Business Journal. For the complete story, click here. HyGen Board Interactional Golf Tournament (August 2018) In August, HyGen held its second annual Board Golf Tournament. Once again, we had the privilege of bringing together HyGen's customers, vendors, and partners to network with our Advisory Board members. This is a wonderful way for us to celebrate our customers, vendors, teams and our networks! HyGen Pharmaceutical (May 2018) is currently ranked as one of the nation's fastest-growing private companies by Inc. 5000. This now make the 8th time since 2007 that HyGen has graced the pages of this magazine for this achievement. We thank all our customers for this prestigious honor. For the complete list please click here. BuiltWith has announced that HyGen is actively using 17 active technologies for its Website and is constantly working to improve customer experience and knowledge for 2018. HyGen Pharmaceutical (October 2017) has been inducted into the Healthcare Distribution Alliance "HDA" its board members in 2017. HyGen has positively impacted the integrity of the drug supply chain by providing innovative and technology-driven solutions that differentiate its business on every level. University of Washington Foster School of Business (September 2017), HyGen Pharmaceuticals, Inc. continues to help the students of the Foster School of Business in their business growth collaborative program. Foster places a special emphasis on leadership, strategic thinking, and entrepreneurship in offering these coveted places to shape future sales and marketing issues facing business leaders in our community. HyGen Board Interactional Golf Tournament (August 2017) This new event will bring together HyGen's key vendors, partners and customers to interact with our Advisory Board members. We hope to continue this event moving forward and thank all those who made this exceptional event possible. Inc. 5000 (April 2017). HyGen Pharmaceutical is again ranked as one of the nation's fastest-growing private companies by Inc. 5000. HyGen's continues to gain national prominence in this regard. Puget Sound Business Journal (September 2017) HyGen has the honor of being a key player ranking this year at #16 in becoming one of the fastest growing minority owned companies in Washington state as noted by the Puget Sound Business Journal. Click here. 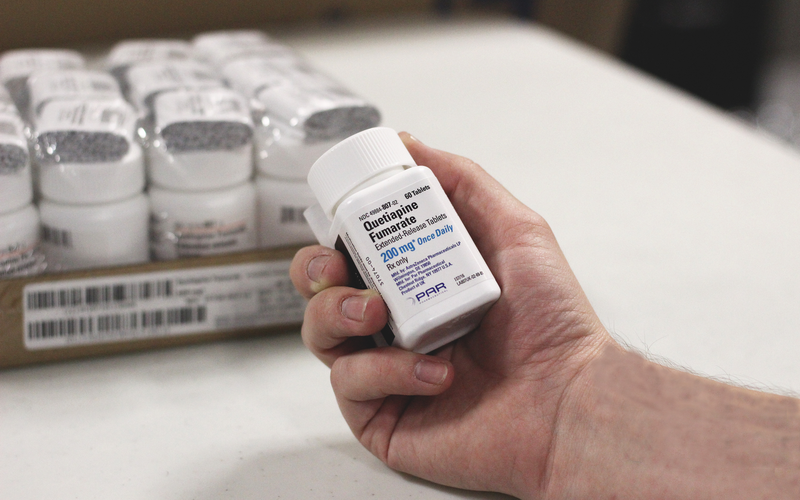 HyGen Pharmaceuticals, Inc. Redmond facility is accredited by the National Association of Boards of Pharmacy	® (NABP ® ) in its Verified-Accredited Wholesale Distributors ® (VAWD ® ) program. For the sixth time, HyGen Pharmaceuticals, Inc. is ranked as one of nation's fastest-growing private companies by Inc. magazine. HyGen has demonstrated an impressive growth rate of 236% over the past three years to earn 1599th position on this prestigious list. Click Here to see the complete list. HyGen Pharmaceuticals, Inc. is also recognized as 14th Fastest Growing Private Company in State Washington announced by Puget Sound Business Journal on October 21st 2016. HyGen has been a member on this elite list of the 100 Fastest Growing Private Businesses for 5 years. Puget Sound Business Journal also honored HyGen Pharmaceuticals by adding them to the "Hall of Fame". Click Here to see the press release for more details. HyGen is also ranked as 7th Eastside Fastest Growing Private Companies by Puget Sound Business Journal (PSBJ) in 2016. HyGen is also ranked among Fastest-Growing Minority-Owned Businesses by PSBJ in 2016. HyGen Pharmaceuticals, Inc. also participated in various conferences in the year 2016. HyGen is a member of National Association of Chain Drug Stores (NACDS) and attended the NACDS Total Store Expo held in Boston from 6th August 2016 to 9th August 2016. HyGen also participated in Annual Meeting and Expo organized by National Association of Specialty Pharmacy (NASP) in Washington, DC in September 2016. HyGen has also collaborated with University of Washington - Foster School of Business to leverage their resources and networks to seek strategic management expertise in order to reduce healthcare costs. HyGen Pharmaceuticals, Inc. was ranked as one of the nation's fastest-growing private companies by Inc. magazine. HyGen Pharmaceuticals, Inc. was ranked as one of the nation's fastest-growing private companies by Inc. magazine. The magazine's 34th annual "Inc. 5000 list" ranked HyGen Pharmaceuticals, Inc as the 2018th fastest growing company in the U.S. Last year, HyGen earned its place on the list with 334.54 percent growth over the past three years in the 2015 list. HyGen is proud to be in this list for the 5th time. HyGen Pharmaceuticals Receives 2014 Trailblazer Award from the University of Washington. 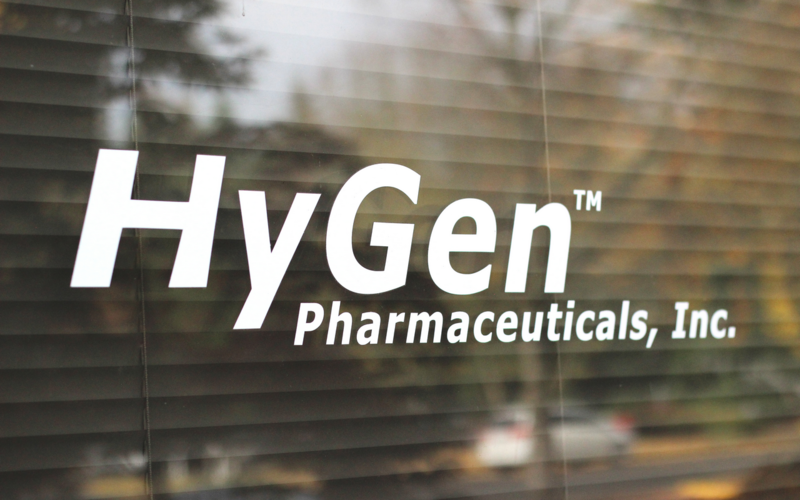 HyGen Pharmaceuticals, Inc. moves into a New Facility in Redmond, WA with expanded distribution capabilities. See the Press Release for more information. Rocket Software, Inc. Press Release: HyGen Pharmaceuticals, Inc., uses cloud-based services from The Systems House, Inc. Rocket Software, Inc. Press Release: HyGen Pharmaceuticals, Inc., uses cloud-based services from The Systems House, Inc. and RocketU2 to form a foundation for solid business growth. 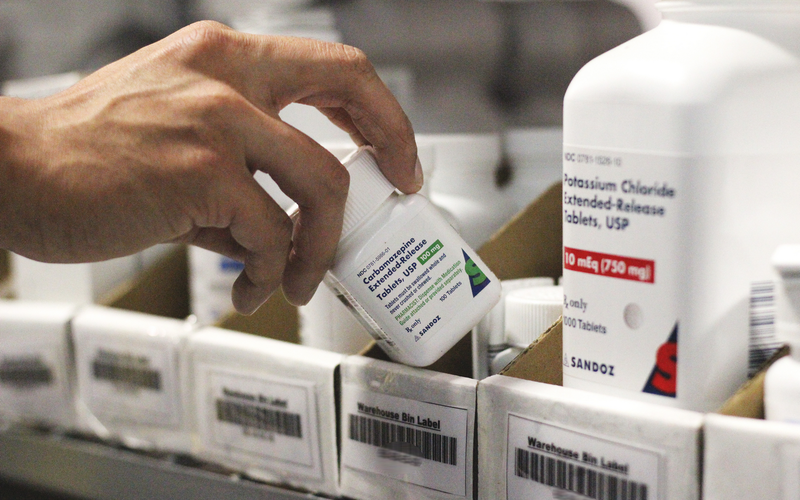 HyGen Pharmaceuticals, Inc. Bellevue facility is accredited by the National Association of Boards of Pharmacy (NABP) in its Verified-Accredited Wholesale Distributors (VAWD) program. IBM and Partners Help Healthcare Clients Adopt Electronic Health Records and Improve Operations with Cloud Software. IBM (NYSE: IBM) today announced that American Occupational Network (AON) and HyGen Pharmaceuticals, Inc. are improving patient care by digitizing health records and streamlining their business operations using cloud-based software from IBM Business Partners MedTrak Systems and The System House. More..
HyGen Pharmaceuticals, Inc. is the UW Emerging Minority Business of the Year Award winner for 2008. The award is presented by the University of Washington Business and Economic Development Center. Here is an article in The Eastside Business Journal. Nishit Mehta, CEO of HyGen Pharmaceuticals, Inc., has been nominated for the Ernst & Young Entrepreneur of the Year Award. HyGen Pharmaceuticals, Inc. is recognized as one of the Inc. 500|5000 Fastest Growing Private Companies in America. We have been ranked 2,781st. HyGen Pharmaceuticals, Inc. is recognized as one of the Puget Sound Business Journal's Top 100 fastest growing businesses in Washington State for the second year in a row. We have been ranked 32nd on the basis of change in revenue from 2004 to 2006. HyGen Pharmaceuticals, Inc. is recognized as one of the Inc. 500|5000 Fastest Growing Private Companies in America. We have been ranked 328th. Nishit Mehta presented at the LogiPharma 2006 North American Pharmaceutical Supply Chain Event in Austin, TX, held in September 2006, to inform people of the newly established NCPD. He spoke of the organization's current and potential benefits to small and independent distributors and answered questions regarding safety and legal issues. The success of this presentation has inspired talks of a major marketing campaign in the near future that would increase awareness of the NCPD throughout the industry. HyGen Pharmaceuticals, Inc. is recognized as one of the Puget Sound Business Journal's 100 Fastest Growing Private Companies in Washington State. We ranked 10th on the list based on change in revenue from 2003 to 2005. 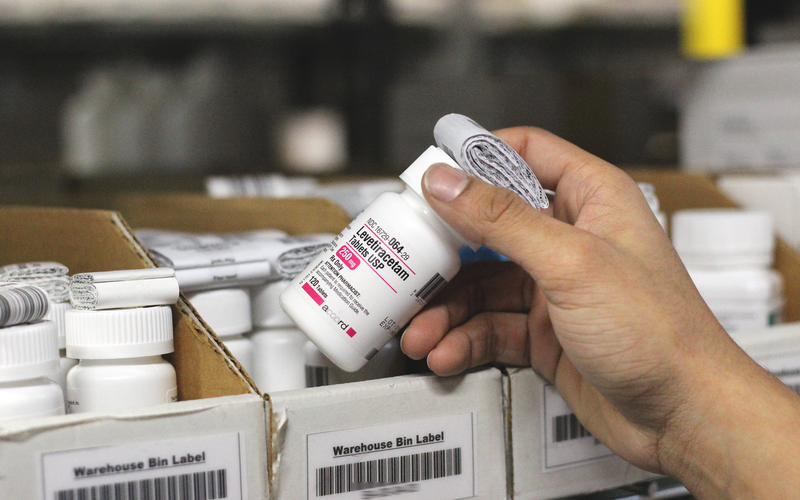 "Proactive Generic Purchasing to Increase Profits for Washington State Independent Pharmacies is printed in the Washington State Pharmacy Association's summer 2006 issue of Washington Pharmacy magazine. "Just completed 10 years of business relationships with HyGen Pharmaceuticals. Great group of people - Great prices. The sales rep has been exceptional to us in sales and customer relations." "HyGen is a wonderful company that has great prices. The salesperson is extremely helpful and gets to know his customers personally. I have been dealing with them for over a year and really impressed by their level of engagement. When I need to return anything, they are quick with the paper work." "I have had a great experience with HyGen. The salesperson has added me to receive order confirmation e-mails along with tracking numbers and this was helpful since it shows me the content of the box prior to arrival. The quality of service is extraordinary and I look forward to ordering from them." "HyGen is the best company I have used to order products. I really like their online ordering system. The customized pricing helps me to manage my account better and saves me time when I'm busy. They are my go to company for ordering products!" Can I track my order on RemoteNet? How do I sign up to place orders on the RemoteNet Site? How do I view or print an invoice? Do you provide a "Price Lock In" feature? Can multiple orders be placed on the same day? Can I change my account information, like my password? How do I progress past the Home Page? Can changes be made to my account on the RemoteNet Access Site? For next day shipping, when should an order be placed by? Is a PO number required to place an order? Click on or Choose a topic from the left, If you don't see your question please call 877-830-9198 and we will help you out. Yes! Once you are logged in, enter your name in the "Ordered By" field then click on the "Change Password" tab at the top of the home page. Then follow the instructions to change your password. Some information, such as shipping address, is not able to be modified online for your protection. If you see it can't be changed on the site, please call 877-830-9198 and we will help you out. How do I progress past the "Home Page"? For your protection, RemoteNet access requires that the user inputs their name in the "Ordered by" field before progressing to any other feature of RemoteNet including changing your password, searching for products, or placing an order. Of Course! HyGen Pharmaceuticals appreciates your business; we do require a minimum of $150 per order to ship. And remember; under the "Place an Order" tab you can refer back to "Orders on Hold" so you can add to your order throughout the day - but remember to check out before the shipping cutoff time! Can I check the status of a RemoteNet order and track my order? Yes! Once you are logged in, click on the "Inquiries" tab at the top of the home page and click the first drop down "Order Inquiry"`. Then scroll down to the bottom of the page where you will see your previous web orders as well as any orders placed directly with a representative listed in chronological order. Just click on the order number for delivery information. Contact us at 877-830-9198 if you need more information! It's EASY! Our search system is a highly sophisticated all inclusive database. Just enter a partial medication name (either Brand or Generic) and the system will generate potential results on the first 3 characters! You can also search by typing any segment of the (00000-0000-00) format and the system will generate potential results. No special search needed. No. RemoteNet Access only requires the "Ordered By" field to be completed before placing an order. However, there is a field for you to enter it if you need a specific PO assigned to an order. Other than changing your password, sensitive account information changes need to be made via customer service. You can call a customer care representative at 877-830-9198 for immediate help. If you do not have an account Click Here to create an account. or If you are already a customer please enter your credentials below. We do! Your price is saved via your account and flagged with an "S" next to it. Simply head over to the "My Account" tab in RemoteNet and click "View My Invoices". Here, you are able to view and/or print an invoice via PDF. We provide free Ground shipping on orders over $150. Expedited shipping may incur a shipping charge depending on the size of the order. Orders that are below $150 will have a $10 charge added for shipping. All next day orders must be placed before 4PM PST (7pm EST) Monday through Friday. We do not ship on Saturday or Sunday. Absolutely! Please contact us to request a delivery on Saturday. The order must be placed before 4:00pm PST on the preceding Friday. Deliveries requested for Saturday may incur an additional $20 shipping fee, please contact your representative for details.